Welcome to Knoxville Aikido Dojo. 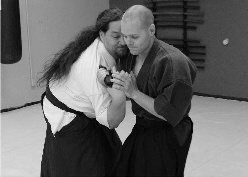 We are one of Knoxville’s oldest martial arts schools having been founded in 1986. 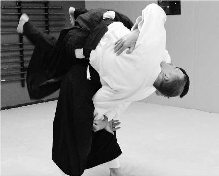 We train in traditional Aikido that retains the modest sensibility of O’Sensei’s teachings, and offer a modern interpretation on the techniques involved. We enjoy meeting new people and welcome everyone to train with us, regardless of experience level. Visitors are always welcome to stop by and ask questions or to observe a class. You can see our class schedule here. Our dojo is located at 7544 Oak Ridge Highway, Knoxville, TN 37931. If you are interested in participating in a class please arrive a few minutes early to fill out a participation waiver and to warm up. Please wear comfortable exercise attire (sweatpants and a t-shirt are recommended).